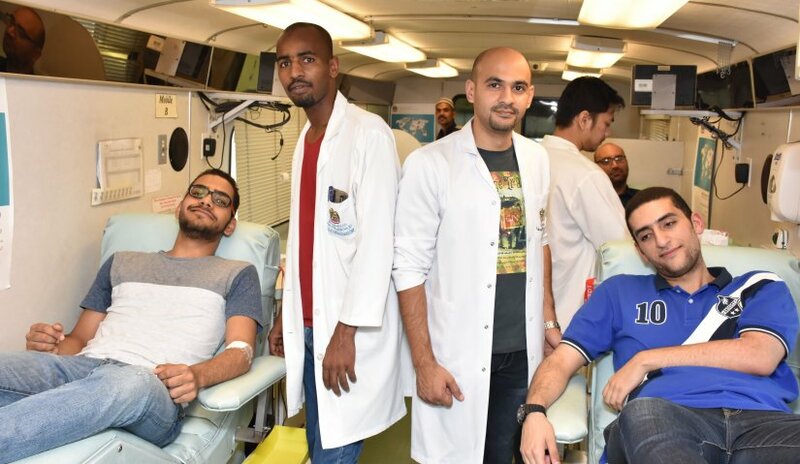 The Student Affairs Unit at Al Falah University organized a blood donation campaign today in collaboration with the Blood Bank. The event is part of a number of initiatives the University aims to implement in 2017. On this occasion, Prof. Nasr Abbas, Director of Student Affairs Unit stated that the campaign is part of AFU’s keenness to participate in various social events aimed at raising awareness among students about the importance of engaging effectively in community issues. More than 100 students donated in addition to faculty and administrative staff members of the university. The donation amounted to more than 50 units of blood.